Based on the results, students will be called for counseling and will be individually intimated on the date and time of counselling. 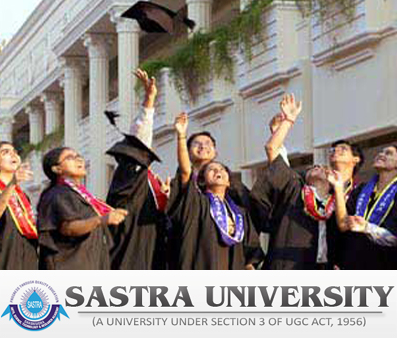 In order to appear in the counselling process, candidates have to apply for the admission in SASTRA University. If the University will found any lack of information in the application form then the application form of the intended candidate will be rejected and will not be called for the counselling process. Check complete details regarding SASTRA University Counselling 2019 from this article. Candidates are advised to report at the counselling venue 30 minutes before the scheduled time. Candidates who turn up late for counselling will be allowed only for the next batch and admissions will be made only on the basis of availability of seats during the time of counselling. Commencement of classes 1st/2nd week of Jul 2019. Counselling for students under the Stream 2 category will be conducted along with Stream 1 during the 2nd/3rd week of June’2019. The subsequent round of counseling is subject to vacancy position and dates will be updated on the website. Applicants under Stream 1 will be admitted to 70% of the seats based on JEE (Main) 2019 scores and normalized +2 marks. The weightage for JEE Main scores and +2 marks will be 25% & 75% respectively. The aggregate JEE Main score and normalized +2 aggregate will be taken together as per the weightage and applicants will be ranked based on the resultant combined score. For example: If a student secures a JEE Mains Score of 90 and normalized +2 aggregate is 95%, the combined score of the student will be (0.25*90) + (0.75*95) = 93.75 (22.5+71.25). Applicants under Stream 2 will be admitted based on their normalized aggregate +2 or its equivalent marks. This is for 30% of the total seats. To bring all candidates from different examining authorities/ boards in the same scale of comparison and to create a list in the order of merit, the +2 or its equivalent aggregate marks will be normalized. A first rank student of each board is considered to have obtained 100% mark and aggregate mark of all other students of the board is normalized with reference to that of the first rank student. For example, if the first rank is 97% and an applicant’s aggregate is 90% then the applicant’s normalized percentage is 92.78 (90/97×100). 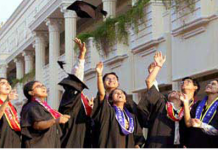 A merit list is drawn based on the normalized percentage for making admissions for the 30% of the total seats.